The previous two months were spent in preparations for Africa while the rest were spent in sickness. Qazi Sahib fell ill with influenza. He spent many days in bed, after which he went to the coast of Bournemouth for a change of climate and spent two weeks there. I suffered from a cough and cold as well, and so far, I have not yet completely recovered from it. Perhaps the cold has become a trait of this country. Whether it is winter or summer, each day carries its influence. How is it possible to work in these conditions? Apart from the occasional opportunities of tabligh, the series of lectures remained on hold throughout this period. The fact of the matter is that favourable outcomes are not dependent on our hard work; they only depend upon the benevolence, graciousness, mercy, kindness, forgiveness, covering of weaknesses and generosity of God Almighty. Hence, regardless of our present condition, we were given the strength to convey, in this report, the news of four new converts to members of the Jamaat. A series of letters were exchanged with a revered lady, Miss Burrows, for a period of time. Every once in a while, she would pay a visit as well. Accepting Islam, she was given an Islamic name, Fazl (Blessing). May Allah the Almighty shower His blessings upon her. An Islamic gathering took place in London’s East End through the efforts of Dr Abdul Majeed Sahib Barrister-at-Law Nawab Jang Bahadur, Mr AD Carr and several other respected individuals. Several persons delivered lectures in favour of Islam. At the request of the audience, I delivered a speech on the blessings of Durood and the practical ways of developing a love for it and the propagation of Islam in Arabic. Upon the insistence of the audience, I delivered the same speech in Urdu and English. Thereupon, in the same gathering, two respected ladies embraced Islam. One of them is Miss Williams, who was given the Islamic name Maryam, while the second is Miss Tasker, who was given the Islamic name Saeeda. A young Hindu gentleman, Mr Sehna, who is a student in this country and who, under the influence of some Muslims, became close to Islam, came to meet this humble one and embraced Islam. He was given the Islamic name Muhammad Khan. All praise belongs to Allah. Mr Paul is a well-known priest in London who Khwaja Kamaluddin Sahib has also mentioned in some of his reports. He has requested me to deliver a lecture at one of his functions on the claims and truthfulness of the Prophet of God, Hazrat Ahmadas.I have accepted his request. Similarly, another respected intellectual individual who is in correspondence with me, after reading “tomb of Jesus” printed on one of my letterheaded papers requested me to deliver a lecture on this subject in their society. He wants me to deliver the lecture in the days of winter, but it is very difficult for me to go out in cold weather. 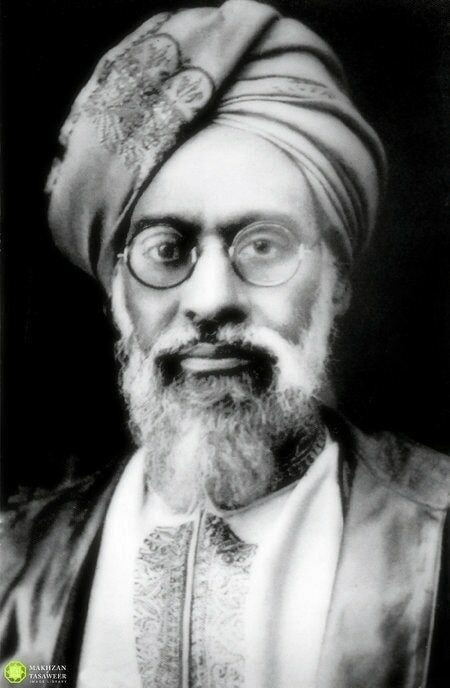 Therefore, I sent him a letter, stating that I thankfully accepted his invitation, however, brother Qazi Abdullah Sahib would deliver the lecture in my stead. Likewise, the International Society has requested for three lectures which shall Insha-Allah be delivered in May. 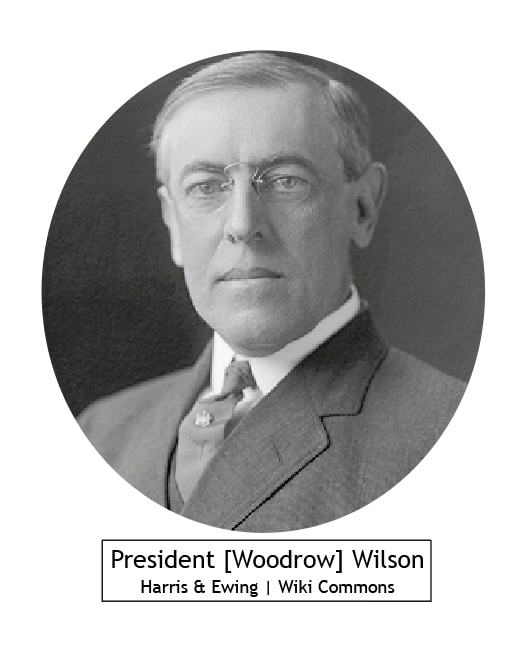 Crowds of people gathered in the streets and market places of London to honour the famous President [Woodrow] Wilson of USA who is visiting London nowadays. Wherever he goes, slogans of hoorays and cheers are raised. On behalf of the Ahmadiyya Jamaat, I sent him a letter welcoming and congratulating him on his visit of the country. Although the details of the drowning of Lord Kitchener are still considered suspicious, correspondence has been published in the newspaper Morning Post of 28 December 1918, which is an account of a survivor of the Lord Kitchener’s ship. According to his statement, Lord Kitchener boarded the HMS Hampshire ship on the evening of 28 December 1916. The same evening, the ship began its voyage from the shores of England. The sea was extremely turbulent at that time. Therefore, unfortunately, the torpedoes which accompanied the ship for its protection came back after traveling some miles. The ship began its voyage at 5 o’clock and a large explosion occurred at 8 o’clock, which caused the lights to go off, leaving extreme darkness. People on board came up in fright, but the ship started to sink ever so quickly and there was not enough time to release the lifeboats. Those who were able to get into the life rafts wandered in the sea and eventually reached a hilly area in the morning. There were almost 800 people on board, while eighty managed to get into the rafts and only twelve of them survived. 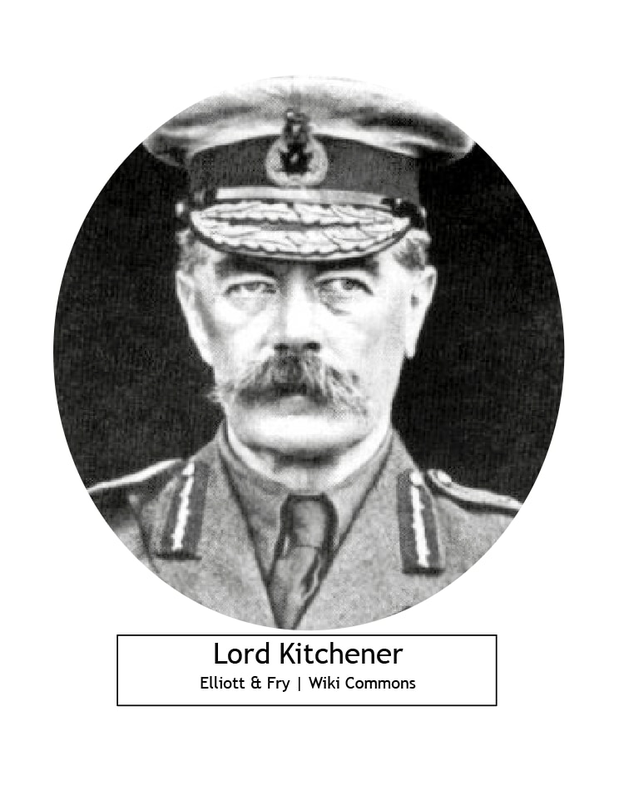 Nobody saw what happened to Lord Kitchener and it is wrong to consider him alive. Lord Kitchener’s sister believes that her brother is still alive on some island and a ship sailing past that island will bring him back. I sent a letter to this lady expressing that although people laughed at her assumption, but I believed that it might possibly be true, and I expressed sympathy for her. The condition of weather is quite strange here. It is difficult to go out due to the cold weather. Although the smoke of the burning coal is released via the chimney, it is beyond one’s understanding how this smoke can affect the things present in the room and one’s breathing. Even one’s saliva turns black. Moreover, as the room stays warm, if someone steps outside, the effect of the cold air on the warm body causes flu instantaneously, not sparing a single day from flu and similar symptoms. At times, it so happens that one begins to lose consciousness due to constantly sneezing. Symptoms of cough remain in some way, shape or form. It is only through the blessings of Allah the Almighty that we are surviving, otherwise living in London is very difficult for a weak person like me. Allah is the Most Forgiving and Merciful. Another lady by the name of Miss Nellie Taylor embraced Islam through me and was given the Islamic name Nur. Her letter of Bai‘at has been sent in this mail to be presented before Hazrat Khalifatul Masih [IIra]. During the days of war, 42,000 soldiers were operated on in […] Hospital. Some operations were particularly out of the ordinary, for example, some wounds were not covered with bandages in the distinct procedure of surgery. It so happened that the nasal bone of a soldier was broken and was replaced by the chest bone of a sparrow and the nose recovered successfully. A person suffering from depression started to feel cheerful when an extra bone was placed in a specific part of his skull. Nowadays, passions are high because of the parliamentary elections. Mr Lloyd George was victorious over other parties with an absolute majority. Mr Asquith, who was elected as member of parliament for the past 32 years and served as the prime minister in the first three years of the war, not only lost his ministerial role but was also deprived of membership of parliament. His opponents triumphed over him. For the first time this year, women candidates were also hopefuls in the election, yet all but one failed to succeed. 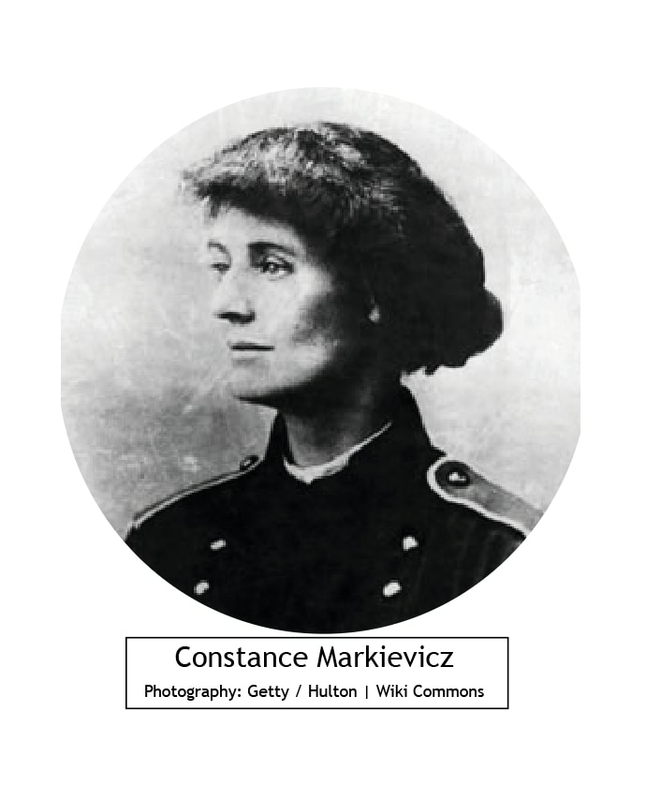 The successful candidate was Constance Markievicz. In a congratulatory letter I wrote to her, I was able to inform her about the Ahmadiyya Jamaat in Islam and presented the book Talim-e-Ahmad (Teachings of Ahmad) as a gift.